At closing, you will receive the property title that states you are the owner of the home you purchased. The title company issues the document as evidence that you bought the property legally, and no one else has claims to it. 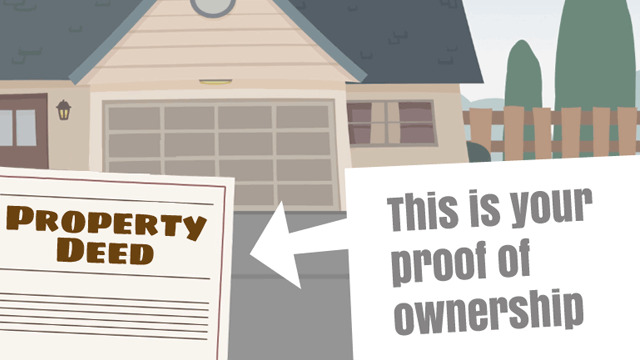 A property title is a document that shows legal proof of ownership. During the mortgage transaction, the title is handed over to the buyer at the time of closing after all contracts are signed and the seller receives payment for the sale. Titles on your home are issued by a title company that identify you as the owner of the property. These companies also issue “title insurance.” The company makes sure that the title on your home is valid, in order to protect you from lawsuits against property dispute and provide legitimate evidence that you are the rightful home owner. In order to insure the title, the company conducts an investigation of property records to make sure that you are the legal owner, that there is no other person with claims to the property, and that there are no mortgages, unpaid taxes, etc. associated with it. For the mortgage process, yours and any co-borrower’s names will be put on the title document. Later on, the names on the title can be altered to add or remove people by using a deed.